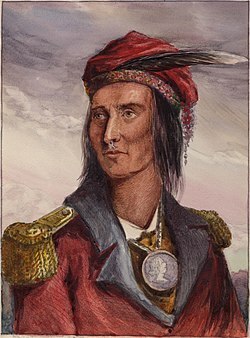 ^ O'Donnell, James H. Ohio's First Peoples, p. 31. Athens, Ohio: Ohio University Press, 2004. ISBN 0-8214-1525-5 (paperback), ISBN 0-8214-1524-7 (hardcover), also: Howard, James H. Shawnee! : The Ceremonialism of a Native Indian Tribe and its Cultural Background, p. 1. Athens, Ohio: Ohio University Press, 1981. ISBN 0-8214-0417-2; ISBN 0-8214-0614-0 (pbk. ), and the unpublished dissertation Schutz, Noel W. Jr.: The Study of Shawnee Myth in an Ethnographic and Ethnohistorical Perspective, Ph.D. Dissertation, Department of Anthropology, Indiana University, 1975.